The port of Patras plays a major role in the economic life of Patras, Western Greece and Greece in General. 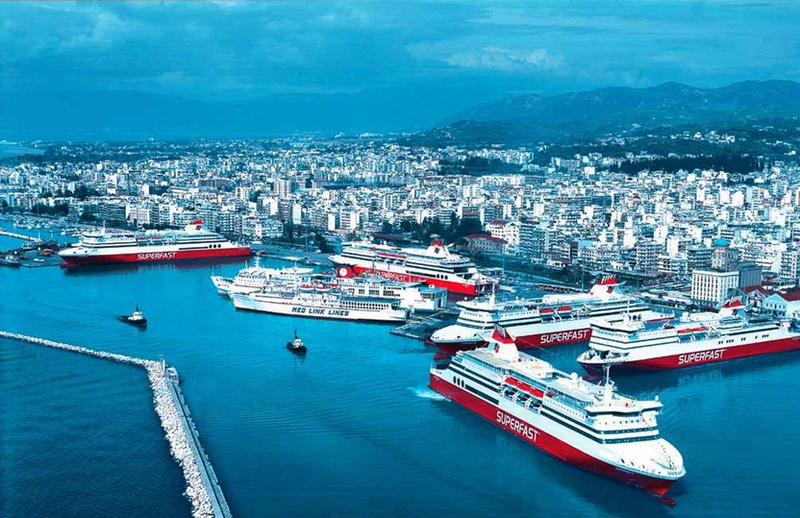 The port of Patras has passenger harbour which attracts approximately half of the total international passenger traffic in the country moving with ships as well as commercial harbor and Marina. With the creation of the new Southern port and other infrastructure in and around the port of Patras is becoming essential in combined transport hub in southeastern Europe. for more information contact phone 2610.365113. -taxi access close to the main passenger station in the Southern Port of Patras there is a taxi station to serve passengers. -Access by bus going by bus from the port in the center of Patras and vice versa is served by the line no. 18 bus Patron. Daily departing ferries to Kefalonia (Sami), Igoumenitsa and Corfu. Daily Ferries depart for Italy, Ancona, Bari, Brindisi, Venice and Trieste. From the port of Patras itineraries to Kefalonia Ionian Ferries company with the ship Ionis. In the Bari of Italy departs daily Superfast. Towards Ancona and Venice departing daily Anek Lines,Minoan Lines and Superfast. Air Champion24 .com offers ferries to and from Patra on all services performed from any port of Greece. You can easily search and choose your ferry route that it serves, easily and instantly. The booking takes place in real time using your credit card or by making a booking with the help of the staff of our Office.